Atlantic Rhythms ocean wave print 22X22" handkerchief. Hand-screened silver ink on turquoise blue or golden color cotton. In March 2017, we created ten special edition, hand-screened boxes for the first four Atlantic Rhythms releases. Five boxes were screened on blue paper with grey ink and another five boxes were screened on yellow paper with grey ink. The box sets included releases by TOWN, Aaron Leitko, Curved Light, and Jack Propane. 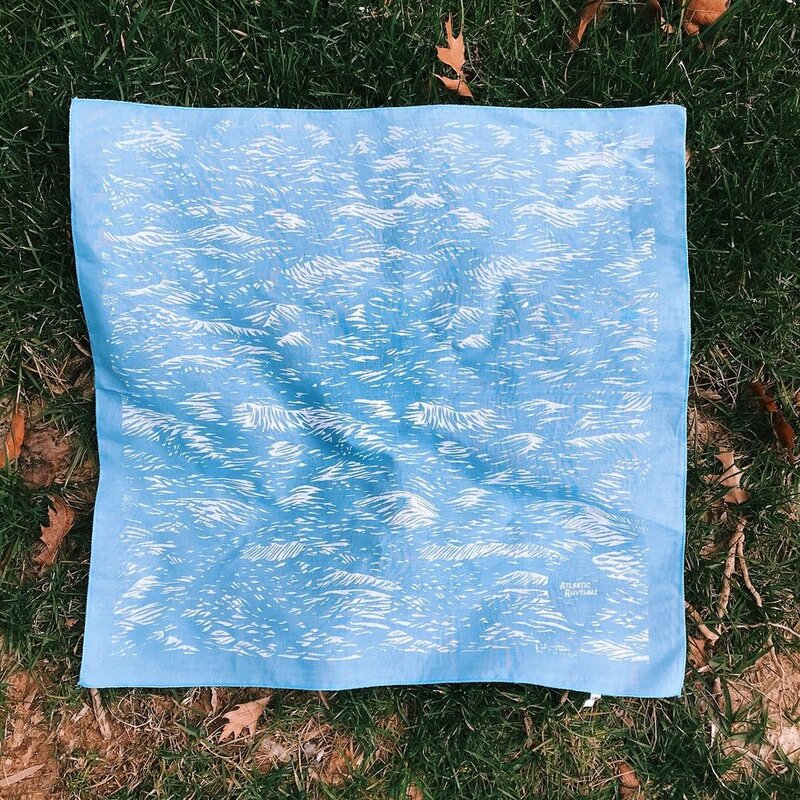 Atlantic Rhythms ocean wave print 13X13" handkerchief. Hand-screened silver ink on turquoise blue color fabric. Limited edition Atlantic Rhythms ocean wave print 12X19" hand-screened poster. Comes in either yellow or blue heavy color matte paper stock.